Why Kasich's Kitchen Comment Can't Slide! 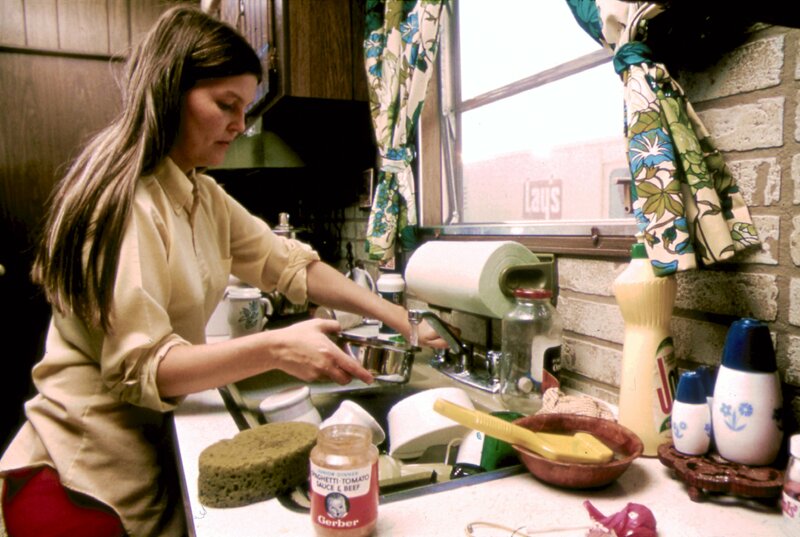 Republican Presidential candidate John Kasich recently made the comment that, in 1978, 'women came out of the kitchen' to support his political campaign. Even though a woman in the audience pushed back on that comment, many Millennials like the reporter in the newsclip below defend Kasich because they believe that the happy homemaker propaganda was true in the late 1970s. Yikes!! Here are 5 reasons why Kasich's comments should not get a pass. Reason 1: The 1970s were the height of the women's movement. 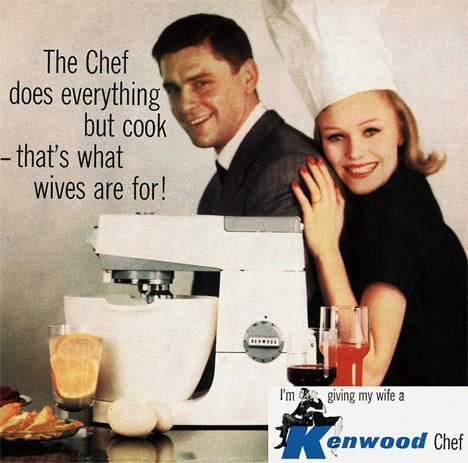 Associating the 1950s male manufactured happy homemaker image with the 1970s women's revolution is skillful manipulation to roll back women's rights. By the time Kasich campaigned in 1978, Congresswoman Shirley Chisolm had run for President in 1972. 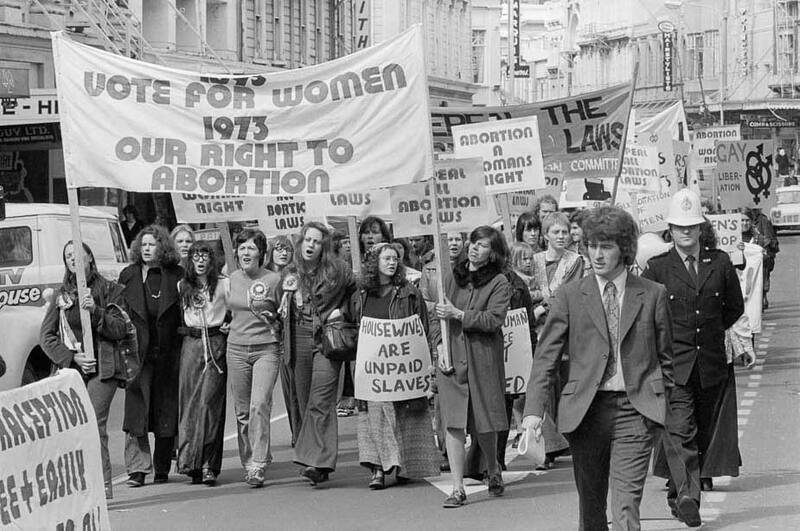 Roe vs. Wade passed in 1973 after women and men all over the world politically organized and protested in the streets to gain reproductive rights. The Equal Rights Amendment (ERA), attempting to change the constitution to grant women equal rights, passed both houses in 1972. The ERA had to get 38 states to ratify it by 1979 making it a hot button issue in 1978. Women in the '70s were serious about politics. Kasich's statement ignores women's political progress in the '70s same as he is ignoring women's political needs in 2016. Reason 2. Kasich defunded Planned Parenthood this week. Kasich signed a bill to defund Planned Parenthood this week. He has rolled back women's health care and reproductive rights throughout his tenure reversing the progress women made in the 1970s. Do you still think Kasich associated women with the kitchen as an innocent mistake? Many conservative men theorize that, without birth control, women will be forced back into the kitchen to cook for their husband while happily raising children. However, The Knot Yet Report found: "couples who marry in their early twenties and especially their teens are more likely to divorce than couples who marry later." When you add widowhood to the equation, more women and children are likely to live in poverty, extreme poverty, based on Kasich's actions. Over 51% of single mothers with a family of 3 live below half of the Federal poverty rate. That is $200 per week or $9,900 a year -- even less. Data on single motherhood suggests that these new young mothers who couldn't get birth control will likely end up in the kitchen of government subsidized housing cooking food bought with food stamps. Their lives will be a far cry from the happy homemaker image in Kisich's fantasy. Even more scary, while Kasich is creating more impoverished single mothers, his Republican counterparts are waging a war on single mothers. Is this good for society regardless of your political views? Women voters beware. Remember that Afghanistan rolled back women's rights in 1992. Reason 3. 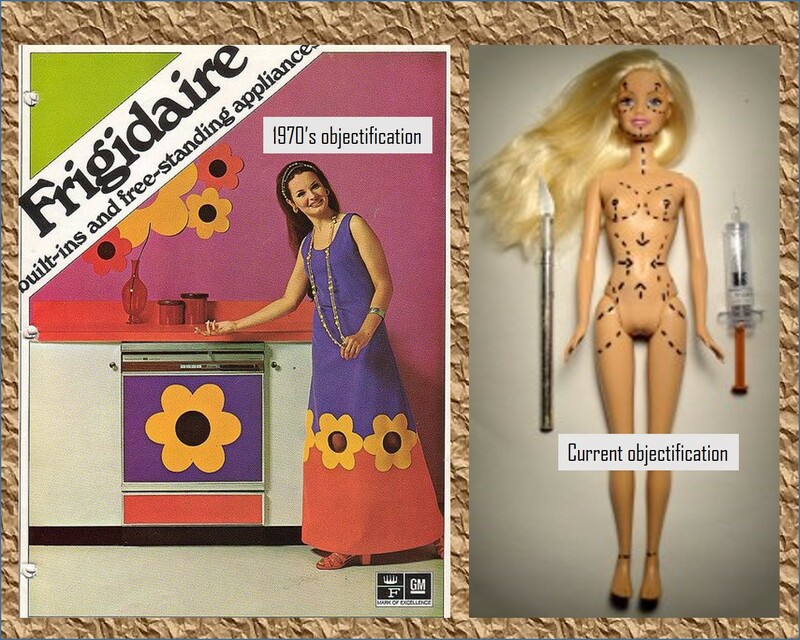 As women gain power, objectification and ideal imagery increase accordingly. In the 1990s, Naomi Wolf wrote about the correlation between powerful women, impossible beauty standards, and female objectification. Her findings still hold true today. Yet women still seem to not notice this trend. From advertisers making a woman blend in with house fixtures at the height of the 1970s women's movement, to currently using plastic surgery to turn the female body into a living Stepford Wife while there is a viable female Presidential candidate, both eras of female objectification serve to distract women from advancing socially and politically. The patriarchal attack on powerful women is now so vicious that the 1970's horror movie version of the "Stepford Wives" has come true in 2016 - minus the mansion, car, and rich husband. It doesn't even have comedic elements like the 2004 remake. Women die chasing this ideal imagery while politicians allow it. Reason 4. 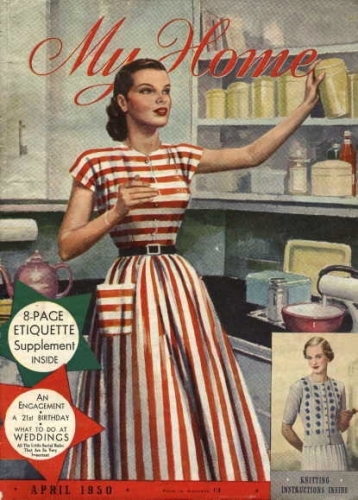 The 'Happy Homemaker' image was manufactured by Madison Avenue to sell kitchen appliances. In the 1950s, advertisers and television execs invented ads and television shows depicting women at home as the ideal life. It was not based on reality. Appliance manufacturers paid for this imagery to sell more products. The iconic television show 'Leave It To Beaver' gave a contextual lifestyle to this manufactured woman by creating a fictitious happy housewife named June Cleaver. Mrs. Cleaver was always smiling, dressed up, hair and makeup done, and focused on her children's petty problems. She never broke a sweat, was never seen cleaning the entire home, and had no goals outside the home. Her husband, Ward, always came home on time from his mystery job to find his happy wife in the kitchen. Some children grew up believing their homemaking mothers were "dumb girls." Oh, notice how calling grown women "girls" is back with a vengeance, too? I digress. The danger of believing the happy homemaker lie is that men are still passing laws to manufacture this fantasy. 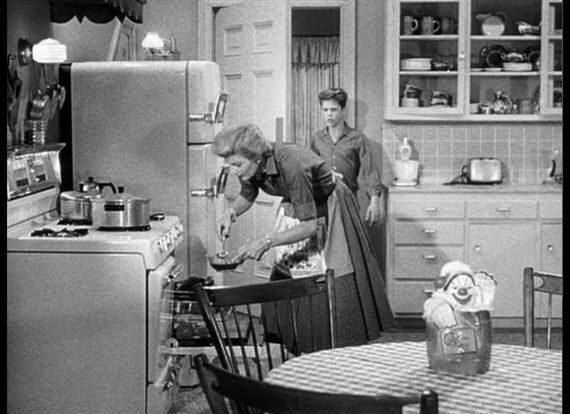 Past and present women who do the job of homemaker are not like June Cleaver. Homemakers do TONS of house work in addition to cooking. It just gets devalued and oversimplified. If today's homemaker was paid on the open market, she could yield over $96,000 per year. Instead, men pay homemakers with the title of wife. Therefore, politicians have no political agenda to count, economically credit, or empower the homemaking profession. 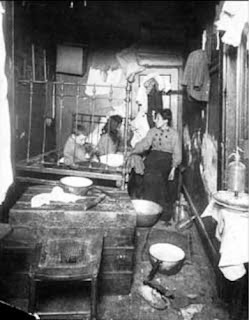 Additionally, women worked outside of the home long before the 70's; including in the 1800's. However, women were still expected to cook and perform homemaking duties. The result, whether working in or outside of the home, women are exhausted. Meanwhile, men like Kasich envision that women are at home doing nothing but keeping dinner warm. This mindset has been a huge set back to women's progress. There needs to be women's rights for both homemakers and career women. Reason 5. Men fought to get women out of the kitchen, too. Kasich is ignoring the rights of both men and women. Many men fought alongside women for reproductive rights, working rights, and political rights. Many men actually are feminists. 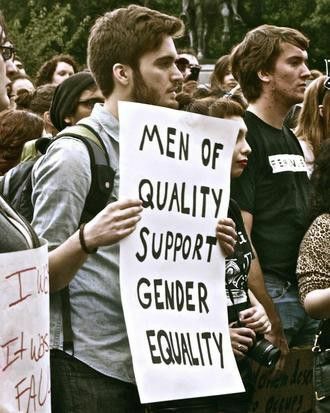 Men all over the world recognize that their quality of life is connected to women's equality.